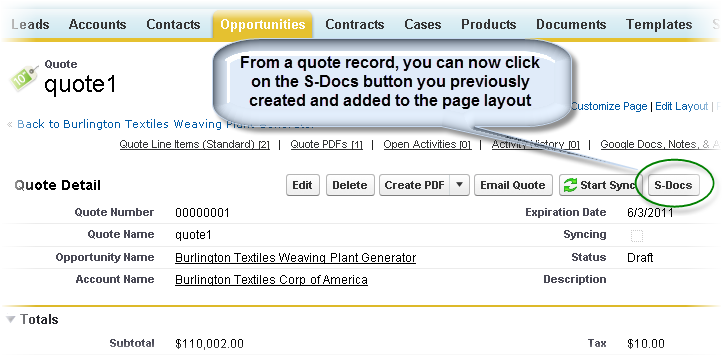 Create your Quote template record. Be sure to select “Quote” from the “related to type” picklist values. Confirm you have also checked “Available for Use” and “Initially Visible” checkboxes. Once in the editor mode, you can design your quote template. As a shortcut, we’ve included the template source for the standard quote object. 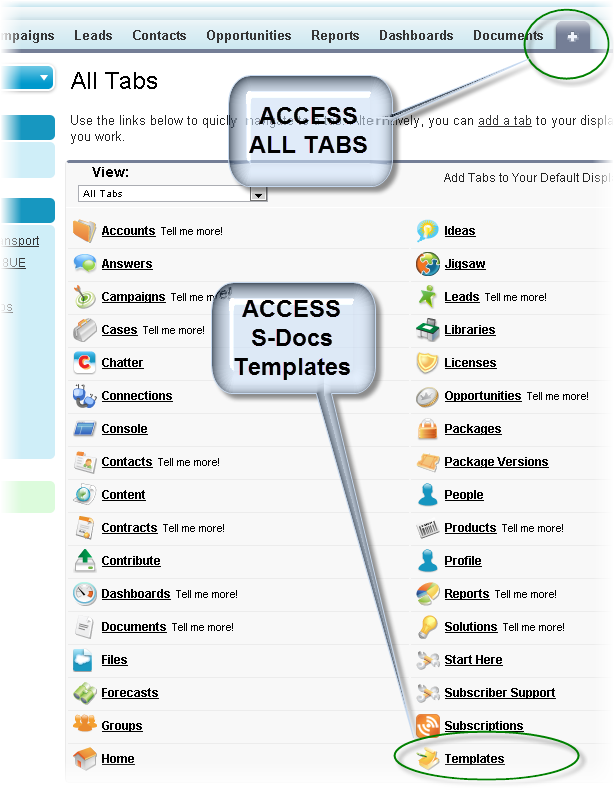 You can use it and modify per your requirements. 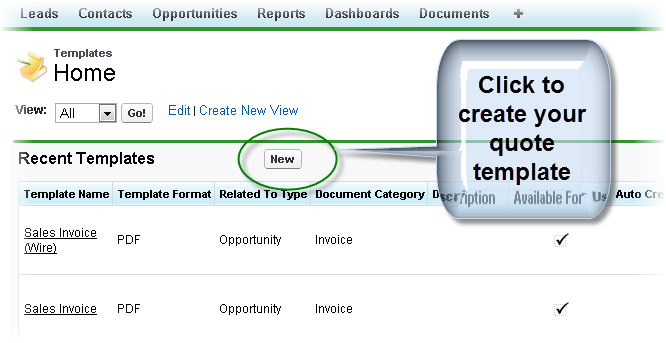 To use it, click on the “Source” button and then replace the field content with the template source provided in Appendix A by ( you can simply use Copy/Paste) – but be sure you are in the “source” mode. 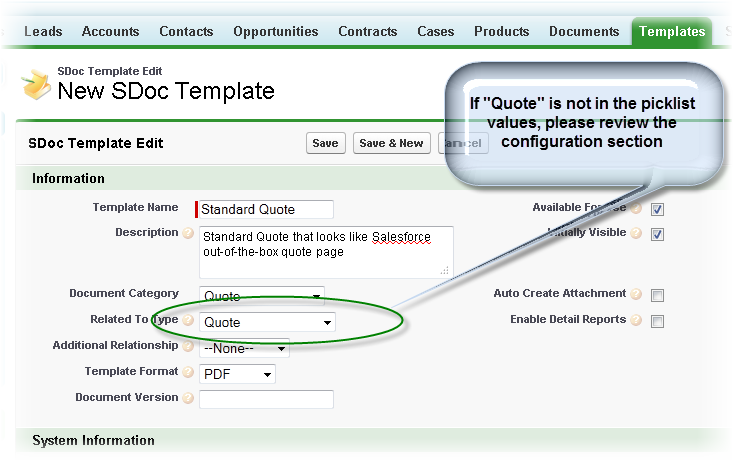 Once your template is saved, you can click on the S-Docs button you created and placed on your quote page layout during the previous configuration steps.